This week on the blog seems to be all about the baby steps towards New Year's resolutions, doesn't it? Yesterday I talked about the 3 easy and affordable green beauty swaps you can make that would have the most impact, and today I'm talking about how to get started with meal prepping and meal planning and, well, just cooking at home more in general. As I noted in my 2018 reflections post, last year was the first time we really started cooking more at home (i.e. eating the majority of meals at home instead of out). This change has been positive for our overall health and our bank accounts, and we managed to accomplish it in small, progressive steps and without relying on subscription meal prep services. If you're trying to make cooking at home part of your everyday habits for 2019, read on for what worked for us! 1. Buy some sheet pans and enamel bakeware. Meal prep novices might find the expense and potential storage space issues posed by a slow cooker or Instant Pot off-putting, and hey, if you do end up cooking more these appliances are awesome and convenient and worth it. But if you're just starting out, buy a couple of rimmed aluminum sheet pans and an enamel casserole dish or two. Check your local Winners/HomeSense for both; I've found Le Creuset baking dishes and professional-grade sheet pans there for a song. Considering how often I use them, they have earned their place in our tiny condo kitchen many times over. I use the enamel casserole dish for everything from lasagna and mac and cheese to diced baked yam and roast chicken (I just place a stainless steel wire rack on the inside and rest the chicken on top). With the sheet pans, you can roast several meals' worth of proteins and veggies in one go. This is probably the laziest most efficient meal prep hack in the book as once everything is in the oven you're free to do other things while your meal cooks, and even better, roasted food reheats relatively well over the course of the week. Line the sheet pans with aluminum foil for even easier clean-up, and switch up what you're roasting for variety in your meals. I have a Pinterest section devoted entirely to sheet pan meals that I look at when I need inspiration. 2. Only make 3 meals' worth of food at a time. Eating the same meal every day of the week for an entire week poses some problems. Boredom, for one, especially if you're used to choosing a different takeout option depending on your mood. Then there are the times impromptu plans come up and you don't eat the meal you'd already prepared (cue the guilt). Or you found a recipe online and made a huge batch or vat of something—only to discover you don't like it. My solution to all these dilemmas? Only make 3 meals' worth of food at a time. 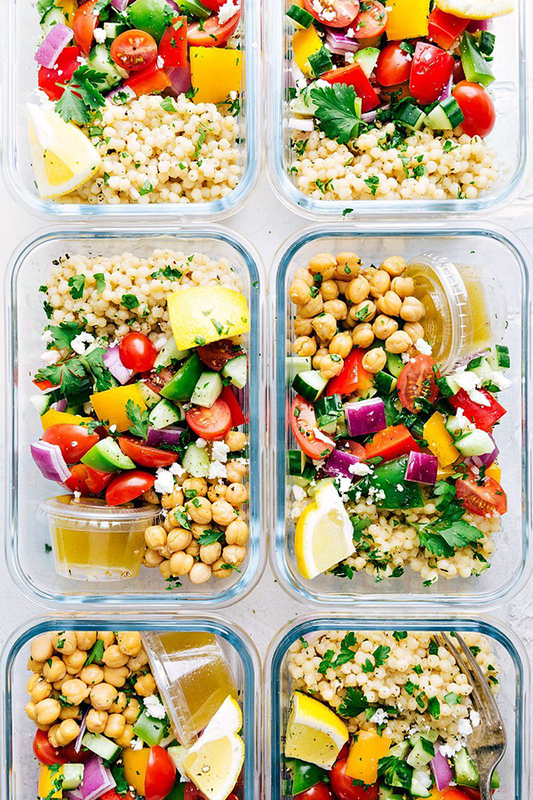 If you prep 3 lunches for the work week, you have the flexibility of going out for lunch with coworkers the other 2 days and eating something different. If you prep 3 dinners for the week, you can enjoy it on Monday and Tuesday, make something different on Wednesday or meet a friend for sushi, eat the prepared dinner again on Thursday, and go out for a Friday date night. This way you're eating home-cooked food at least half the time, you still have flexibility and an exciting range of flavours and meals throughout the week, you only have to make 2 recipes, and you're not spending all of Sunday cooking in advance for the entire week. 3. Explore pre-made seasoning blends and marinades. Taco seasoning. Trader Joe's sells taco seasoning packets for $0.79 each and I stock up each time I go. I brown some ground turkey and add one can each of kidney beans and black beans (rinsed and drained), then the taco seasoning. I make brown rice in the rice cooker and steam some kale. Mix the three together and top with garnishes like diced tomato, cilantro, and shredded cheese for Tex Mex taco bowls. Green curry paste. These curry packets are in the Asian section of my local grocery store. Follow the instructions on the package to add cut-up chicken breast, veggies (I like to use one chopped red pepper, one chopped green pepper, and half a cup of frozen green beans), and coconut milk. Serve with brown rice and cilantro. 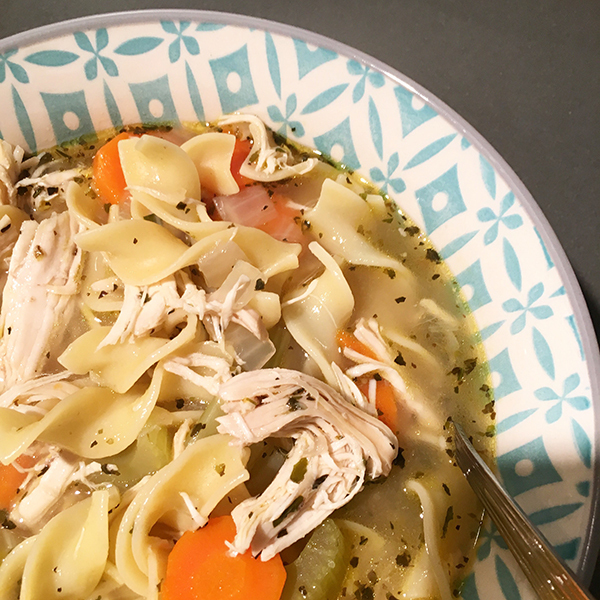 This meal doesn't keep very well in the fridge and it's pretty easy to prepare on a weekday, so I usually use this as my "cook dinner at home on Wednesday" option. Teriyaki marinade. When I first started meal-prepping, one of the easiest ways to get started was store-bought marinades. I'd marinate bone-in, skin-on chicken drumsticks and thighs in a Ziploc bag overnight, then bake the chicken on a sheet pan at 425F for about 35 minutes for a week's worth of protein. For teriyaki, I find Diana and President's Choice to be the most flavourful. 4. Master a few techniques and recipes. Steamed veggies in the microwave. I wash and cut up broccoli, put it in a microwave-safe dish with a bit of water at the bottom and a vented cover on top, then microwave for 5 minutes. So, that concludes my advice as a home cook with limited skills who only got into the habit of eating more at home in the last year or so! To the experienced cooks out there, or those who have been meal-prepping for a while, what tips and go-to recipes do you have? Thanks for sharing your tips. I most especially like your tip about prepping 3 meals at a time. I'm definitely one of those who chooses a dish/meal based my mood for the day & it changes a lot. Most of the time I always crave rice and meat.. so hard to cut down on these! Glad you liked them! Yeah, it took a couple weeks of trial and error to arrive at the "3 meals' worth" rule. The first couple of times I tried meal-prepping, I made enough food for the entire week and I'd always end up with leftover food because other plans came up, or I was so sick of eating the same thing that I'd get takeout instead. For rice and meat, we've mainly just been trying to make healthier subsitutions. For rice, we started off eating white rice and switched to brown rice; now that we're used to brown rice, we find it more flavourful and satisfying to eat! We also pile more veggies on the plate and less rice and meat. As for eating less meat, lately I've been experimenting with substituting a portion of the ground meat in soup/stew/slow cooker recipes for beans, just so we eat less meat overall.